Josoft Technologies offers unique IT help desk services and helpdesk support options for organizations of all sizes requiring a full- or part-time support desk, an application or customer service desk, or a comprehensive technical service resource center . Josoft attempts to provide the best support desk services to your customers, who effectively addresses your needs, and includes the workforce in developing your long term business goals. With years of specialization in meeting the needs of diverse customer base, we have also mastered the knowledge of market and customer behavior. We lead the industry on a small scale, from large scale industries to major businesses for all types of business. Josoft covers every need of your diverse customer's problems and questions. Before being separated in terms of performance and outcomes, with a harsh belief in the concept of "understanding the customer's vision and then speaking for it"
Our full experience creates a fully effective and comprehensive support structure that helps your company cope with always-changing customer support situations. There may be a large cost while establishing facilities to maintain an intact link between your company and customers. Good customer service is all about building a reputation among your prospective customer base. It stands as an important principle followed by the customer service providers to have more and more potential customers. Successful businesses usually focus on three basic elements of customer relationship management. These include customer care, customer growth and customer acquisition. Your benefits in outsourcing helpdesk support services to Josoft. All calls are monitored and recorded for your references. You can save a huge 60% on operating costs, making a huge difference to your budge. 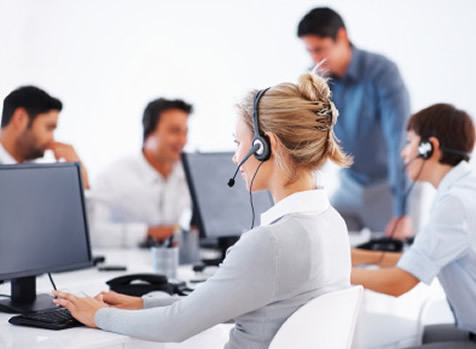 You get a dedicated team of outbound call center help desk agents who work on a 24x7x365 basis. The quality of the calls are ensured by our managers and you can review the same on a real-time basis. Rigorous trainings are organized to make sure that our outbound employees are well versed in meeting your goals.